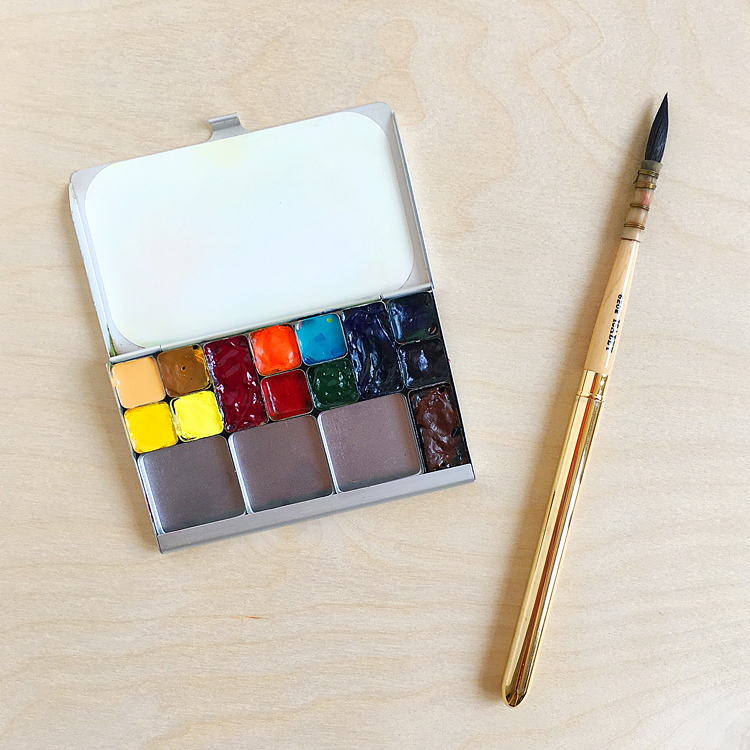 PY184 – Winsor & Newton Bismuth Yellow – a cooler lemon shade of yellow — I just recently added this one and have been finding more and more uses for it. It’s slightly opaque. P062 – Winsor Orange, red shade [AZ] – I love this clear, bright orange. Sure you can mix hansa yellow medium with PV19 or PR209 but it’s not quite the same, plus it’s nice to have an orange all ready to go! 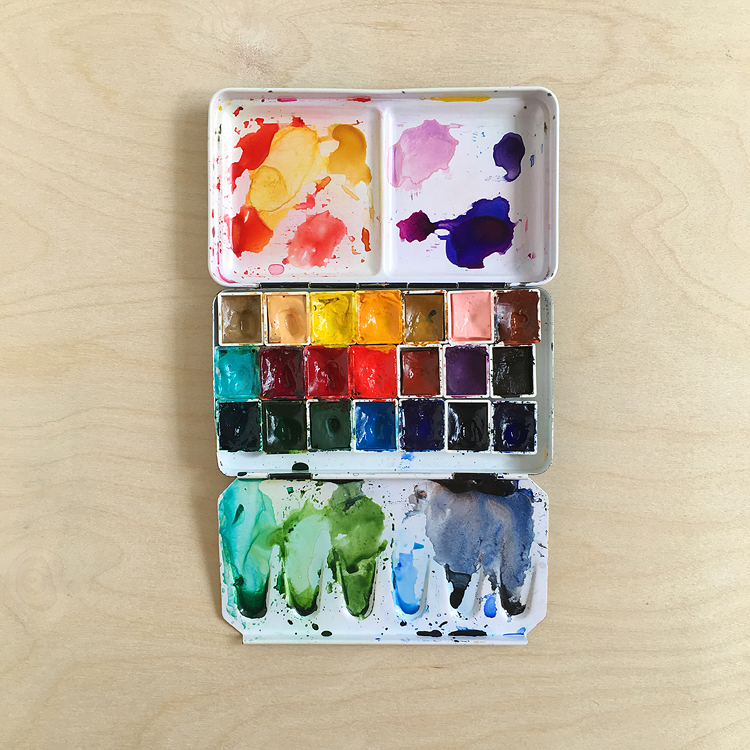 Find my initial setup of my Pocket Palette and more about it here in this post. 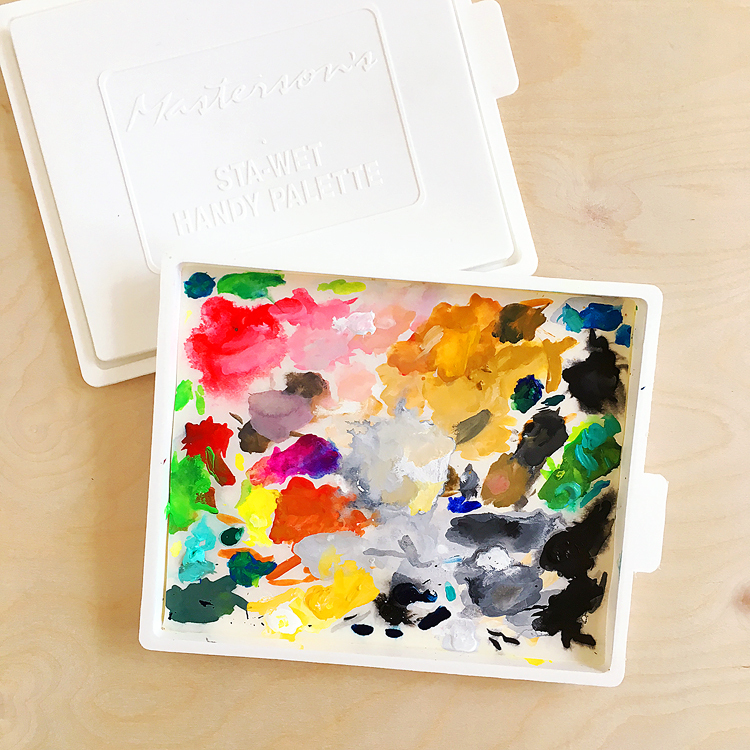 I’ll update this post after I’ve tried the palette with the added mixing areas, so stay tuned…!